Eight easy, playable arrangements of recent Disney movie hit songs arranged in five finger piano notation. Includes: Do You Want to Build a Snowman? 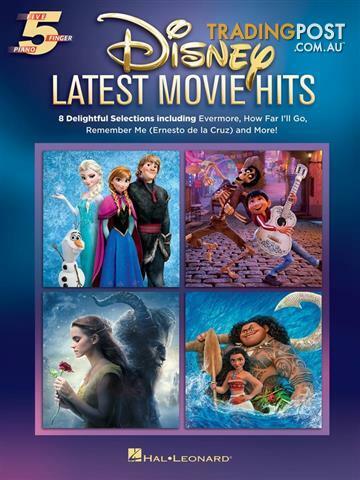 (fromFrozen) • Evermore and How Does a Moment Last Forever (fromBeauty and the Beast) • How Far I&apos;ll Go and You&apos;re Welcome (fromMoana) • Remember Me (Ernesto de la Cruz); Un Poco Loco and The World Es Mi Familia (fromCoco).